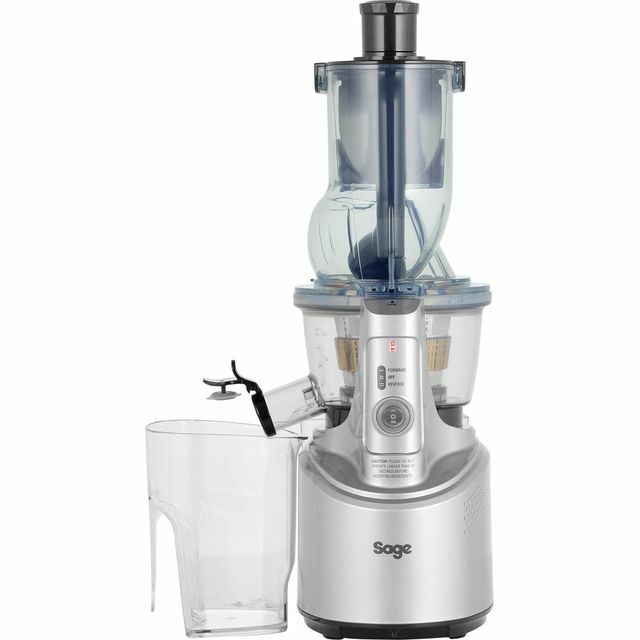 Give yourself a healthy boost with this juicer from Sage by Heston Blumenthal. It’s 1 litre capacity is great for making large batches for the day, and it can juice whole fruits too – just pop an apple or pear straight in, and it does all the hard work for you. The Big Squeeze Technology’s intelligent screw design pulverizes fruit and veg, extracting every last drop of moisture for your drinks, so nothing is wasted. With the special Juice and Mix feature, you can even plug the spout to combine the delicious flavours and textures of your different ingredients. All the components are dishwasher safe too, so you can clean up in a flash. Verry nice peace of appliance. The Big Squezze is my 7 item from Sage. SAGE made verry good quality items, The Big Squezze is quiet, you can make morning juice not wake up anybody at home. Recomended to all. Squezzes fruit and veg to last drop, leave pulp just a bit moist probbobly squezze 90% juice from fruit and veg. This Juicer is fantastic, my husband and I use it everyday. 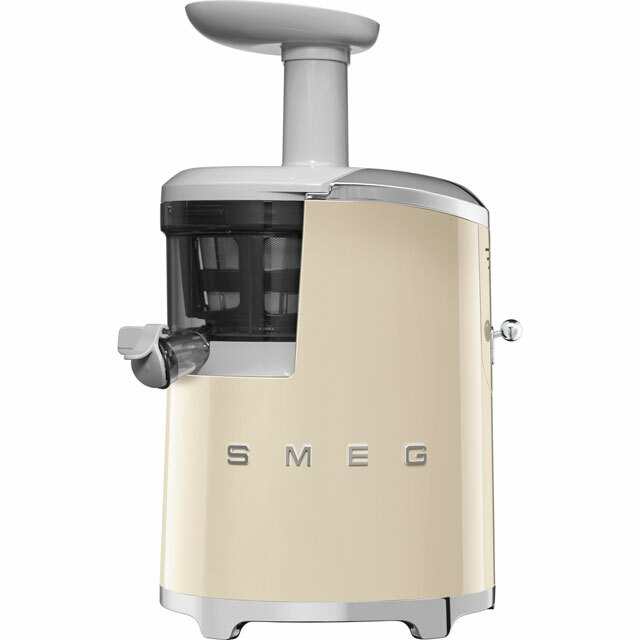 It makes delicious juices and is really easy to use and clean. The Juicer is also very quiet which I was pleasantly surprised by after seeing much louder machines on videos we had watched before choosing this particular product. The design is very nice and looks smart on the kitchen side. I'm a big fan of Sage and think they make high quality products. * SJS700SIL_SI was at the higher price between 27/02/2019 and 03/04/2019.